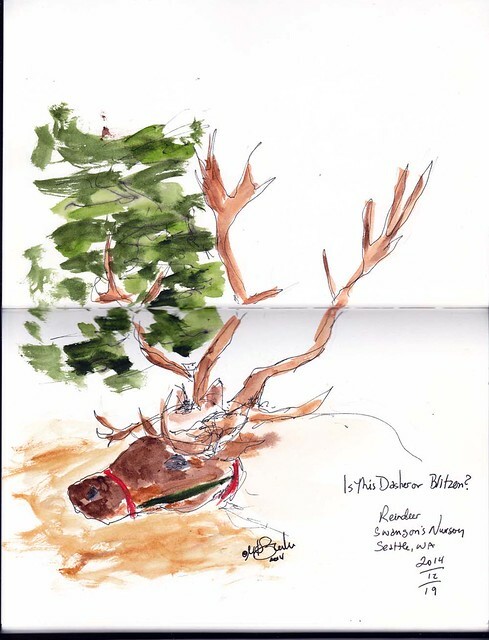 Urban Sketchers Seattle: Camels, Reindeer and plants, oh my. Camels, Reindeer and plants, oh my. 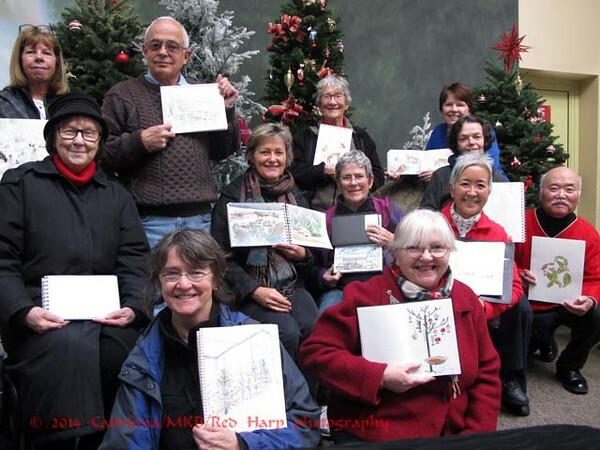 Friday Sketchers visited another location to celebrate the holiday. Swanson's was beautifully decorated for Christmas. 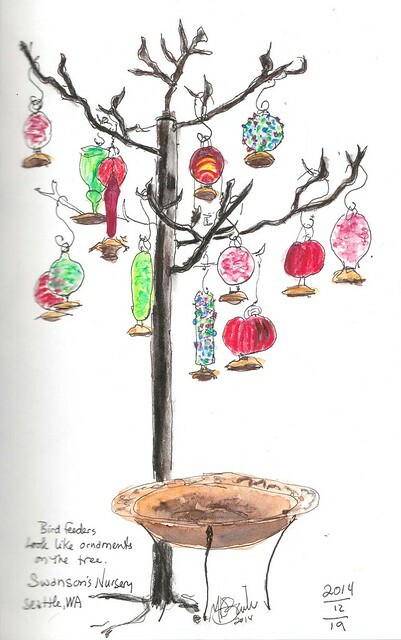 My first sketch was of a bare tree with glass bird feeders. I thought they looked like Christmas bulbs. After all the chaos of the small children feeding them, the reindeer calmed down and took a rest. It was a good chance to sketch them. 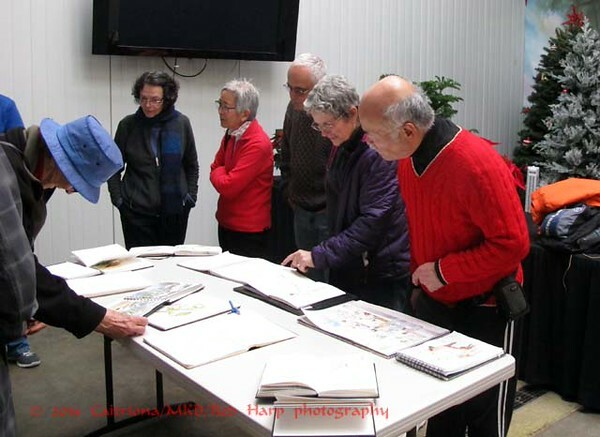 I settled in the warmth of the cafe to talk to Gretchen, visiting sketcher from Madison, WI. 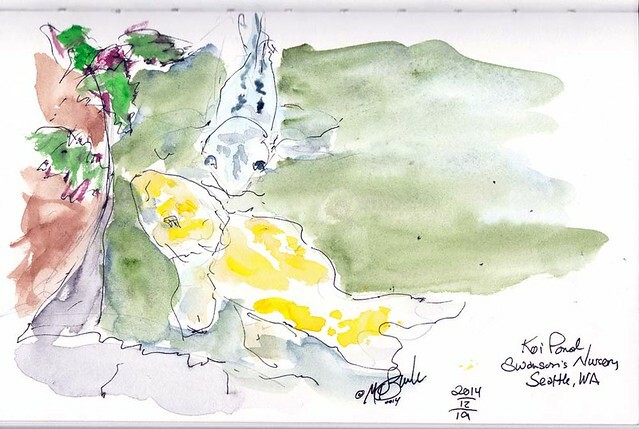 While at the table I sketched the small koi in the pond next to my table. In the other pond, there were some huge fish, one was about 2 feet long. This was one of the better turn-outs. We were 13 sketchers but Gretchen, unfortunately, had to leave early. I forgot to even get a photo of her. 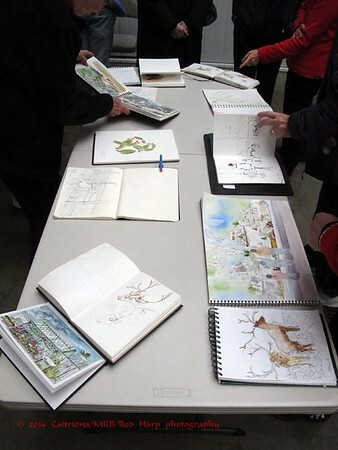 We used the class room, set up for Santa photos, to show our sketches and take our group photo!